Borrowing the title from Albrecht Dürer’s 1503 watercolor by the same name (substituting “A” for “The”), A Great Piece of Turf refers to both lawn and territory. Drawn from a piece of my own backyard, this monumental graphite drawing is a meditation on an otherwise mundane plot. 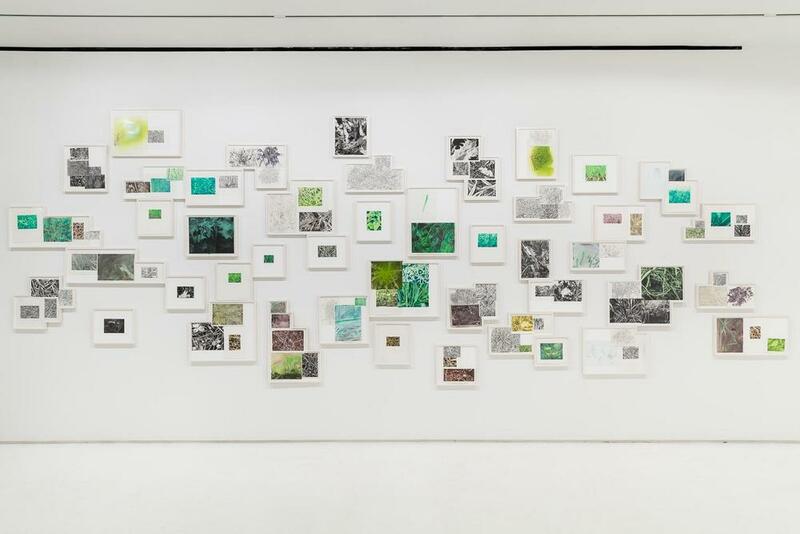 For Field Recordings, clusters of works on paper were made from drawings of territory considered to be brownfields, greyfields, or greenfields—land that is either contaminated, abandoned, or undeveloped. Shifts in scale and material suggest a fragmented unstable landscape.